Europe’s aviation safety body has ordered another round of inspections on the gearboxes of Airbus 225 helicopters. European Aviation Safety Authority (EASA) is specifically asking operators to check the main gearbox oil cooler for the presence of a certain metallic particle. It says that if the particle is detected during the checks, operators must notify the EASA and Airbus. Also, they must not allow the aircraft to resume flights until “corrective action” is agreed by the EASA. Airbus Super Puma 225s were grounded following a crash in Norway on April 29, 2016, that led to the deaths of 13 people, including Iain Stuart of Aberdeenshire. The EASA lifted flight suspensions on the aircrafts in October, but the UK and Norwegian civil aviation authorities have kept their restrictions in place. The EASA said the gearbox oil cooler checks need to be carried out within 10 flight hours of the airworthiness directive’s publication, which came on Friday. For newly-installed gears, the inspection must be conducted before 300 flight hours are exceeded. The new airworthiness directive also affects the AS332L2 model. Airbus put out its own alert service bulletin on Friday calling for the inspections to be carried out. He said Airbus’s priority was to ensure that all findings are “properly taken into account to guarantee safety”. Earlier this month, the Accident Investigation Board of Norway said it would publish a new “preliminary” report into the causes of last year’s fatal helicopter crash in Norway on the anniversary of the tragedy. 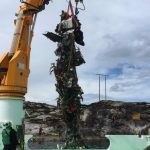 The aircraft had been on a return journey from Statoil’s Gullfaks B platform to Flesland Airport near Bergen when its main rotor suddenly detached. The crash claimed the life of 41-year-old Mr Stuart, 10 other passengers and the two crew. Feb 25, 2017: Unite Scottish secretary Pat Rafferty highlighting the need for public investment to safeguard the future of Scotland’s oil & gas industry. If you are a member of Unite you can get active with Unite, contact your MP or MSP Get active with Unite. The huge growth in umbrella companies operating in construction began in April 2014. This was a result of government legislation which attempted to outlaw employment agencies from bogusly self-employing construction workers. Overnight the industry moved to the umbrella company model in order to avoid paying employer’s NI contributions. Peter is a supply teacher in his 60s who has been forced to sign up to an umbrella company – or effectively abandon hope of getting any more work. Linda, 42, who has taught for 11 years says she is losing £100 a month because of the fees her umbrella firm charges. Another supply teacher told us his take-home pay has been “drastically reduced”. Few people will have heard of umbrella companies, yet critics say they have become the latest way to exploit more than half-a-million temporary workers in the UK, denying them basic employment rights and shifting the employer’s responsibility to pay national insurance contributions (NICs) and pensions. Usually, supply teachers hired under an umbrella arrangement are paid extra, say £140 a day rather than £120. But from this they have to pay two lots of NICs – both the employee’s rate and the 13.8% employer’s rate. The extra pay is also supposed to cover holiday entitlements and pensions, too. What’s more, there are usually admin fees on top. All the teachers Guardian Money spoke to would only agree to be quoted on the basis on anonymity, fearing that if identified they may not obtain work. Umbrella companies aren’t just common among supply teachers – the practice is rampant in the construction industry and is moving into other sectors. When Katherine Petts (not her real name) came to the end of her contract as a pharmaceutical company worker, her employment agency, Hays, offered her a nine-month contract doing a similar job on the same salary. “It seemed perfect, my salary was £40,000, and I was able to step into the same role.” But then came the sting in the tail – she was told she either had to join an umbrella company or set up a limited company to get paid. She decided to opt for the umbrella company. “The idea of setting up a limited company just seem too onerous,” she said. But within a fortnight she realised that meant she was £75 a week worse off. “The fee is £22 a week and I also have to pay both employer’s and employee’s NICs. I also chose to take my holiday pay upfront, which you would think would make me better off, but it has not. I’ve also been told I will have to, at some point, join a pension as part of auto-enrolment. That will mean I pay both my own and the employer’s pension contributions. UCATT, the union which represents construction workers, is leading a fightback, and has described these companies as a “con-trick”. New government rules in 2014 were designed to tackle the sham of “self-employment” among construction workers in the hope they would be paid on a normal PAYE basis. “Instead, overnight, thousands of construction workers were given no option other than to operate via an umbrella company,” said UCATT. It accuses the industry of “blatant tax dodging”, calculating that for a £700-per-week construction worker, HMRC picks up more than £200 in tax when they are directly employed, but less than £150 when they go through an umbrella company. The union was behind a motion overwhelmingly passed at this year’s TUC conference to fight the use of umbrella firms. The TUC’s general secretary, Frances O’Grady, said: “We have real concerns about the growth in umbrella companies around the UK, which could lead to an avoidance of basic employment rights and tax obligations. A spokesperson for Hays said that the way its temporary workers were paid was at an individual’s discretion. “Neither Hays, nor the client, dictates this, nor benefits from one pay arrangement over another. The onus is therefore on the individual to choose the option that is most appropriate for them and to check any companies they decide to work with,” it said. The trade association representing umbrella companies strongly disputes the criticisms. Julia Kermode of the FCSA (the freelancer and contractor services association) cites case studies where supply teachers have been very happy to use umbrella companies – especially where they may be working in several different schools across the week, possibly through different agencies. Then the umbrella makes payments smoother and more efficient. Kermode says UCATT’s criticisms are based on a misunderstanding about tax. “There should be an uplift on the rate [when paid via an umbrella company] to take account of the employer’s national insurance,” although she acknowledges that it can’t be guaranteed in each and every case that the worker receives the appropriate uplift. “When unions first became aware of umbrella firms they were concerned about the apparent deduction of employers’ NICs from pay. However, this deduction should be factored into calculating the assignment rate, ie, it is in addition to workers’ gross pay. All employers are legally required to pay employees’ NICs, as well as processing employee deductions. Unite is Britain and Ireland’s largest trade union with over 1.4 million members working across all sectors of the economy. The general secretary is Len McCluskey. 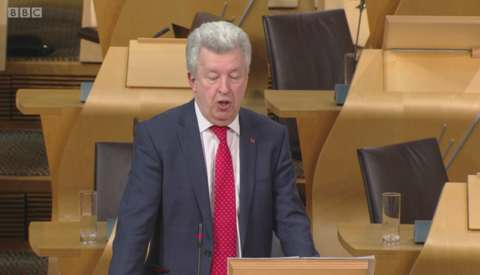 Labour MSP Lewis Macdonald says the north east economy and the oil and gas workforce has shown “tremendous resilience”. “It is now time to provide hope for the future,” he says. Mr Macdonald says he has called many times over the last years for the Scottish government and UK government to help the sector. The Labour MSP says they have reacted to this but there is more they can do. He calls on both government’s to work together following the Oil and Gas Authority model. Labour MSP Lewis Macdonald pays tribute to OPITO’s CEO David Doig. Mr Macdonald says Mr Doig worked tirelessly for the oil and gas industry to develop an apprenticeship scheme that will stand the text of time. The oil and gas downturn could lead to the loss of 120,000 jobs by the end of 2016. 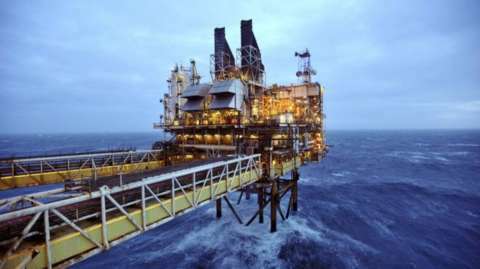 The number of jobs lost as a result of the downturn in the UK oil and gas sector were forecasted to top 120,000 by the end 2016, according to a report. Labour MSP Lewis Macdonald will now lead this afternoon’s member’s debate on co-investment in the oil and gas sector. North-East MSP Lewis Macdonald has tabled a motion at Holyrood suggesting the SNP administration and UK Government use their borrowing powers to buy a stake in infrastructure such as pipelines and platforms. It will be debated at the Scottish Parliament today. As the Press and Journal revealed earlier this week, a similar motion will be brought forward at Scottish Labour’s conference this weekend. Drafted by Aberdeen South and North Kincardine constituency Labour party (CLP), it urges both the UK and Scottish Governments to temporarily acquire strategically important assets. Unite Scottish Secretary Pat Rafferty said the union’s members were the worst affected by the crisis and acknowledged the sector was going through a difficult time. But he insisted that with the “right support” it had a future. He added: “The Scottish Government can’t do everything to help us out of these difficulties, but it should be leading by example. Mr Macdonald said he hoped to secure commitments from SNP ministers to explore the possibility of a “more pro-active response to the downturn in the North Sea”. On the question of public investment, Scottish Business and Energy Minister Paul Wheelhouse said the Scottish Government had long called for reform to the fiscal regime, including improved access to decommissioning tax relief. He also pointed to the Oil and Gas Industry Leadership Group, £12million Transition Training Fund, the newly launched technology centre and the Energy Jobs Taskforce. Labour is to debate a call for the UK and Scottish governments to bring key North Sea assets into public ownership to prevent oil and gas reserves being “turned off prematurely”. The party is to demand action from Holyrood and Westminster to help the industry, which has been struggling since the slump in oil prices. It comes amid fears that more than 100,000 workers in the sector have lost their jobs. A motion to be discussed at the Scottish Labour conference in Perth on Friday urges the SNP Government in Edinburgh and the Tory administration in London to “agree a co-investment plan to support the industry, taking a public stake where necessary, to protect vital offshore infrastructure”. This could see both platforms and pipelines bought up and brought into the public sector. The motion, which has been put forward by the Aberdeen South and North Kincardine branch of the party, calls for action from ministers to “maximise the opportunities from future decommissioning”. North East MSP Lewis Macdonald said: ” Labour has put forward a positive plan to secure the future of our oil and gas industry. “By supporting this motion, Scottish Labour will reaffirm its commitment to protecting the north-east’s reputation as the energy capital of Europe. Government intervention could ensure that the North Sea taps are not turned off prematurely. Mr Macdonald said his party’s stance is ” in contrast to the SNP and the Tories, who have been all at sea in their response to the oil price downturn”. A spokesman for the UK Government’s Department for Business, Energy and Industrial Strategy said: ” We’ve already provided extensive support in response to falling oil prices through a £2.3 billion package of measures, and committed £40 million to new seismic studies to help uncover more opportunities. A spokesman for Scottish Energy Minister Paul Wheelhouse said: ” We have long called for reform to the North Sea fiscal regime, including improved access to decommissioning tax relief, protecting critical pieces of infrastructure and greater support for exploration. “And we have repeatedly demanded action from UK ministers, who retain the key economic levers over the sector, to ensure the industry and its workforce have the future they deserve. When we called for further support for North Sea workers in advance of the UK Chancellor’s Autumn Statement, Labour were presumably too busy fighting their own internal battles, because any support from them for our calls to help the industry was nowhere to be heard. “Labour are also talking nonsense on the issue of Scottish Government support for workers affected by the oil industry downturn. Our Transition Training Fund has already directly supported over 1,500 individuals made redundant, in addition to more than 700 further individuals being helped through two formal training procurement rounds.